A great centerpiece for a graduation ceremony or party. 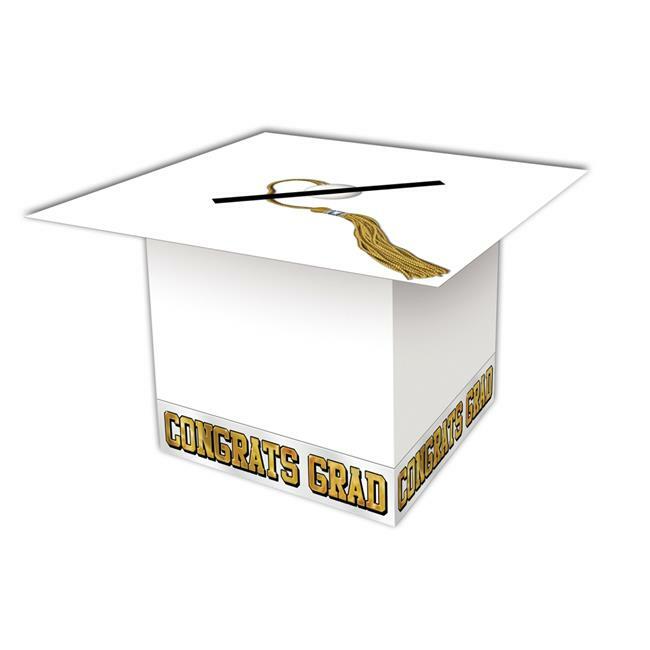 White box in the shape of a graduation cap with gold writing on the sides that say ''Congrats Grad''Allows the guests to put their gift cards in a decorative and stylish box to make sure they are in one place and don't get lost. Made of paperboard. 9in x 9in. Assembly required.